The World Economic Forum is a marvelous and interesting place. During my first day I tried to measure how many boring people I would meet. I started by randomly picking a person, try to chat with them for a few minutes and record my impressions. I went on with this for a few hours without meeting even one person that I did not enjoy spending time with (the next day I met a few politicians and at that point the game was over…). I moderated a session about sustainability, and aside from the topic, remarks of the panel and the reflections of the audience, the highlight was to meet Jeffrey Swartz (President of the Timberland Company) — what a delightful person! The next few days were full of meetings, receptions and parties, but the thing that I was most impressed with (over and over) was the energy and excitement of the people around me. Almost everyone was on a mission to change something in the world, to build something better and to fix some problems — and they were going about it in a creative and useful way. 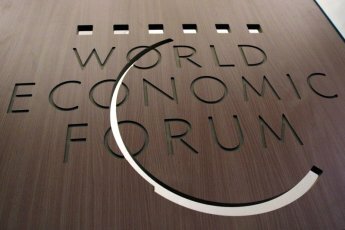 I am not yet sure how much change actually comes out of Davos, but it sure gives me hope.